According to study findings presented during the 49th Society of Gynecologic Oncology (SGO) Annual Meeting on Women’s Cancers held in New Orleans, March 24-27, clinical benefit has been found for women with recurrent ovarian cancer when using immune checkpoint inhibitors, but there was a higher rate of adverse events (AEs) seen than previously reported in other tumor types. 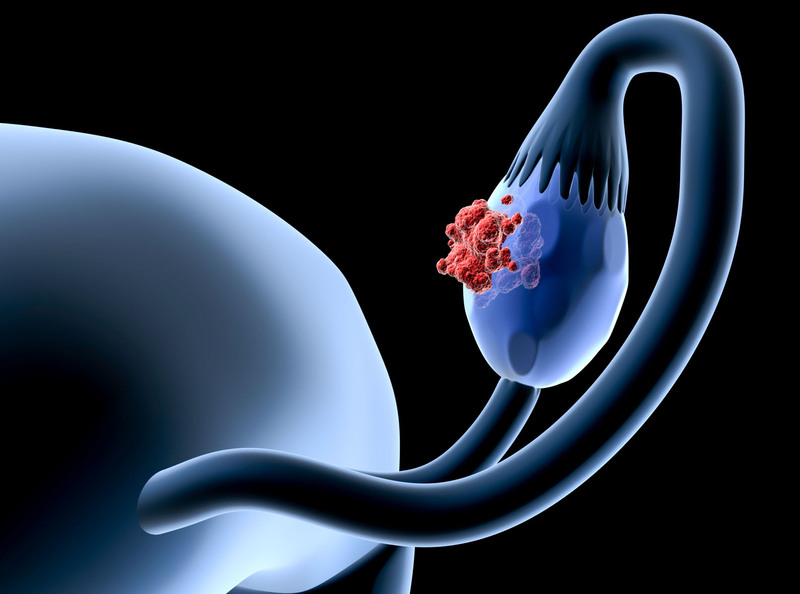 Women with recurrent disease who were being treated with an immune checkpoint inhibitor between January 2012 through August 2017 were examined by researchers. The main objective was to describe associations between clinical outcomes and this type of treatment. “We abstracted data including demographic, clinical and biologic factors and specifically were interested in the outcomes of response to therapy and immune-related adverse event,” Hinchcliff added. 44 women were included in this study and were predominately Caucasian (70.5%) while there was a majority that had high-grade serous pathology. The median age in the study was 53 years. At initial diagnosis, about half of the patients had platinum-sensitive disease. Patients were highly treated with a median of 4 prior lines of therapy and as many as 10. Before enrollment, all patients underwent somatic mutation testing to analyze a common subset of 50 genes, Hinchcliff noted. The mean number of mutations was 2, while there was a range of 0 to 18. Sixty-four percent of patients were treated with a combination regimen including checkpoint inhibitors, while 36% of patients received a monotherapy of checkpoint inhibition. Combination regimens included checkpoint-checkpoint (21%), checkpoint plus other immune effector (46%), checkpoint plus targeted therapy (18%), and checkpoint plus traditional cytotoxic chemotherapy or radiation (14%). Checkpoints targeted in these combinations varied: anti-PD-1 was of the most common in 50% of women followed by anti-CTLA-4 and the combination of anti-PD-L1 and anti-CTLA-4. Results of this study found that 42 patients with data available, 13 patients (31%) progressed and 20 patients (48%) had initially stable disease.There was a partial response found in 6 patients (14%), while 3 of them experienced pseudo-progression. Immune checkpoint inhibitors demonstrated a response rate of 14% and stable disease rate of 48%, overall. Only grade 3 or 4 immune-related AEs were examined by the researchers. Looking at 21 patients (48%), 28 AEs occurred. 14 patients (62%) experienced an AE which required a dose delay. Other AEs that occured included dermatologic, colitis, pulmonary, and cardiovascular, but the most common AEs were elevation in hepatic or pancreatic enzymes, seen in 6 patients (14%). Hinchcliff noted, “These rates are much higher than what has been previously reported in other tumor types." The researchers wanted to understand why, which led to a more detailed look at regimens received by patients. All, but 1, received checkpoint inhibitor as part of a combination regimen. Hinchcliff explained that 27% received combination checkpoint-checkpoint, specifically anti-PD-L1 and anti-CTLA4, and 64% received checkpoint plus some other immuno effector including IDL-1, anti-CSF-1R, or anti-TGF-beta. “It is possible that there are tumor or histology-specific off-target effects of immune checkpoint inhibition that merit further investigation to aid in both prediction and prevention of such adverse events,” noted Hinchcliff. Hinchcliff EM, Hong D, Le H, et al. Adverse events and responses in patients with recurrent ovarian cancer undergoing early-phase immune checkpoint. Presented at: SGO Annual Meeting on Women’s Cancer; March 24-27, 2018. New Orleans. Abstract 15.